good, although I slightly preferred the old wrapper design (and certainly the old price!). Good taste and not too thick so easy to use. Great value. Happy with the taste. They are a quite bit thinner in consistency than some other products out there and therefore a bit larger in volume. Just a bit awkward to handle and a bit of a mouthful. Goes down real easy though. 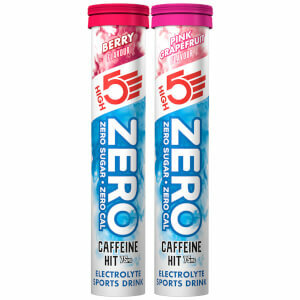 These are great mixed with the caffeine option if you aren't wanting to much caffeine on your ride. Not to sweet and easy to take. I really like this gel. It still gives me an energy boost without caffeine. The summer fruit tastes pretty good. I'm not picky on flavor so I might not be a good judge on flavor. I like that the consistency is more juice like than pudding like. Thin consistency. Great energy. You don't even need water after you take one! 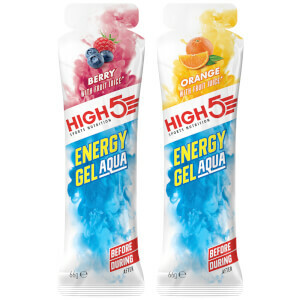 I had the banana flavour, really good gels. 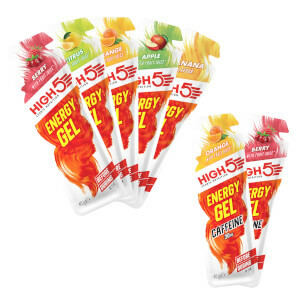 I found these gels very tasty. Easy to swallow, not too thick like some brands! Nothing spectacular to say - they give you a bit of a boost on a longer ride, taste good and don't upset your tummy. Easy to take 'on the go'.